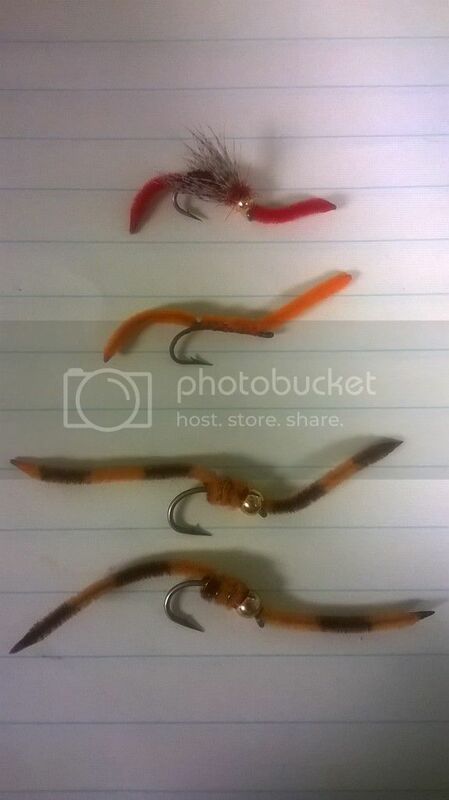 I've decided I'm going to get into fly tying. I've purchased a beginner's kit and it came with a book of fly patterns. I'll start by tying those just to learn the basics of it but I have flies I've bought previously that I know I will like to tie eventually. 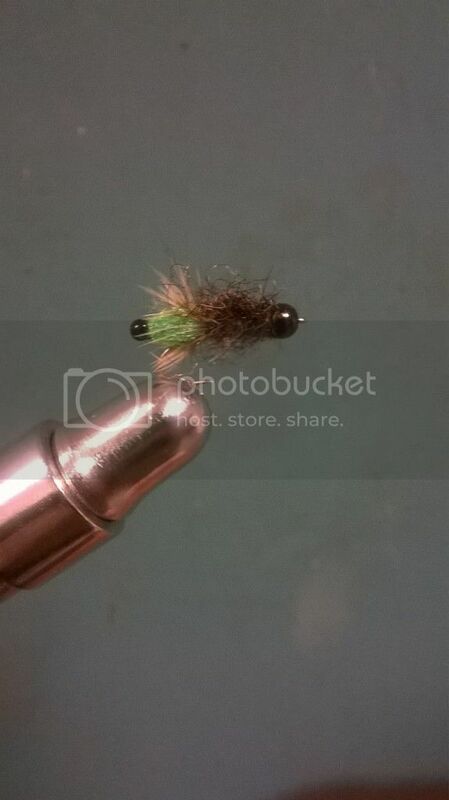 I'm posting pictures of flies I would like to tie but I have no clue the name of the pattern so I don't know where to find instructions on them. If you can help identify the pattern, it would be greatly appreciated! Third is a cricket pattern. They've used some hard material (like a dry leaf) for the wings/back and the legs that used an overhand knot to create a joint. What is this material and what is the name of the pattern? 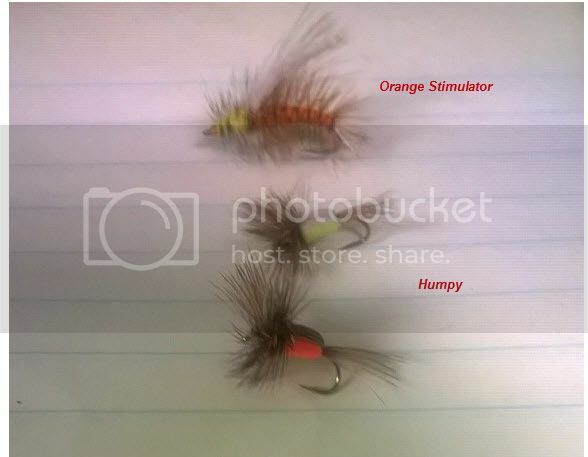 The Orange Stimulator was the one I was worried about most. It belongs to my father and is many decades old. That was the one fly I posted that I was afraid I wouldn't be able to find info on. Hey! I tied a fly! It's called a Stretch Tubing Scud! I also found out I hate stretch tubing. Lol. It's very "bouncy" and you need to pay extraordinary attention when tying it. 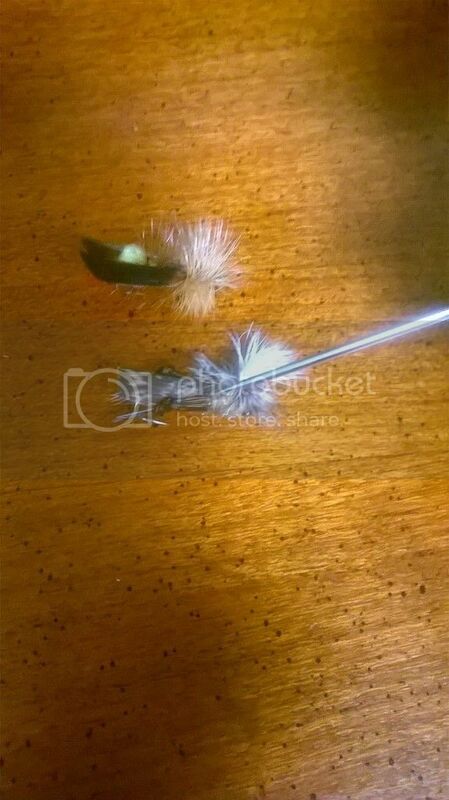 Wait until you start tying with size 18-22 hackle. Then the fun really begins! my response to the hoppers can be found at the 24 second mark. The fly with the bead - hard to tell from the photo but it might actually be a monofilament eye that's tied on some flies, especially saltwater shrimp patterns, to give them a black beady eye. They have a stem off the back of them and that's maybe what's bound to the shank. 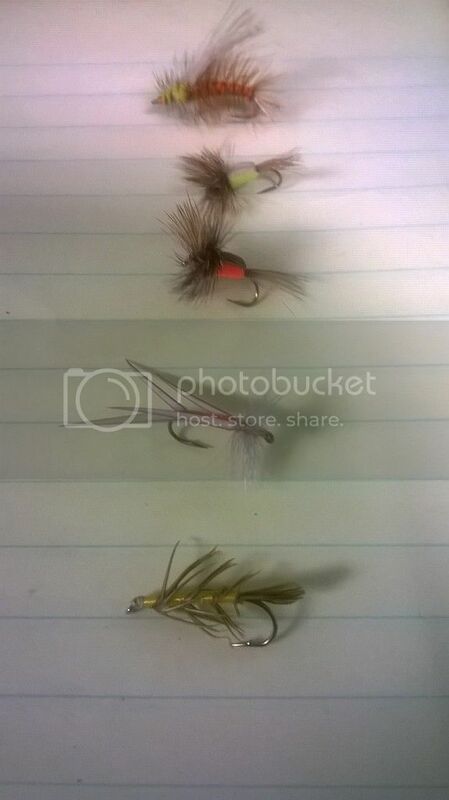 The Bee pattern on the left - honest to goodness looks exactly like some bee pattern dry flies I got as a kid from Herters. 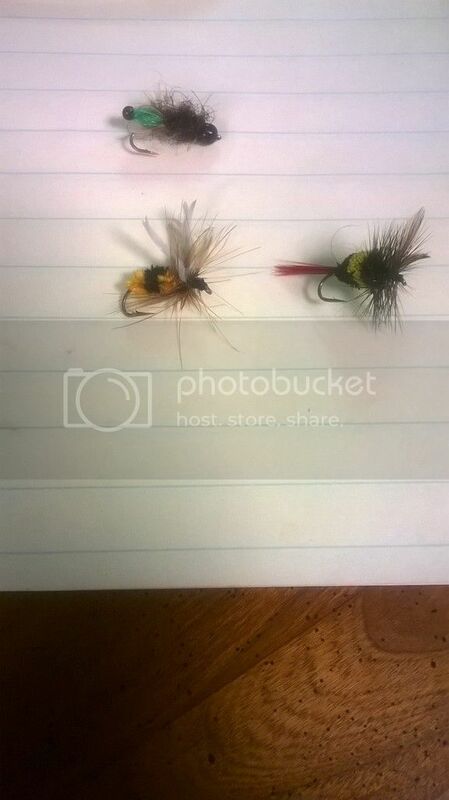 The one on the right looks like it's a variation on an Irresistable, which is a classic spun deer hair body fly pattern, but tied with black and yellow deer hair vs. natural and black hackle. Great high floating flies Irresistables and the yellow Humpy you have pictured were my favorite brookie dry flies once upon a time - but a pain in the rump to tie, especially in small sizes. I tried taking pictures of the one with the bead. I assume it to be an ant pattern but I don't know for sure. I don't see how it is physically possible the bead is on there without a stem or something. But, I can't find anything like it. The bee on the left is one that belongs to my dad, and it's old, so it is entirely possible It is a Herters. You're right about the Joe's Hopper. Yellow yarn body and red tail. The other crickett isn't the same. But, if you're saying all they did was coat a turkey quill with head cement then I can replicate the rest of it pretty easily I believe to make my own (which is my goal with all of these). Also, I don't his foam body crap. I looked up how to make the Humpy after I found out the name of it on this thread. They have a foam version of it now too. It's just not as traditional, nor good looking, to me. Foam is great for some patterns. Terrestrials especially. 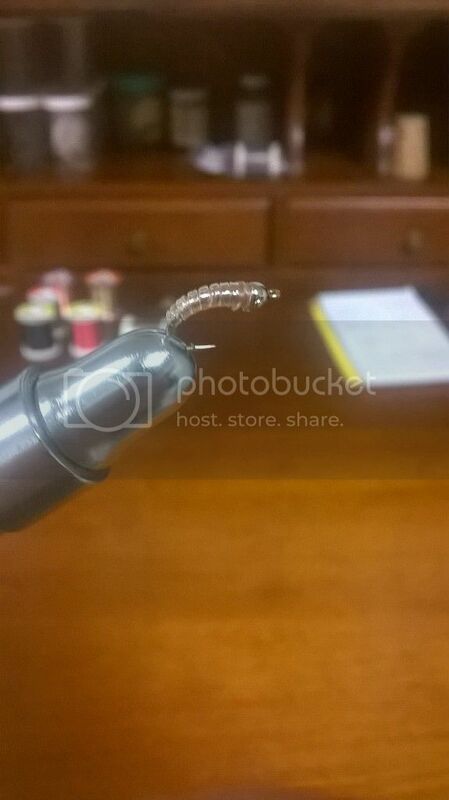 Much rather tie up a foam hopper than a spun deerhair Dave's hopper that's for sure. Plus they float longer, and I think they ride in the water in a more buggy way. I still tie the Humpy with hair some of the time, but have no problems with the foam version either, especially if I just need to whip out a couple quick. The hair version can be...tedious. Foam might not be 'traditional' but no less so than any other synthetic like Lazer Dub, polar chenille, Antron yarn, microtubing, thinskin, flashabou or half a hundred other synthetics we use all the time. It's kind of a distinction without a difference to me. Foam makes good, durable, effective flies, and fish eat 'em. As one of my old (very British) guide clients used to say "The objective, you see, is to catch the little buggers..."